One year later and here I am: finishing law school apps and working part-time at Peet’s Coffee. Yes, I’m 22 and living at home. Yes, I’m fulfilling the “English major becoming a barista” stereotype. Yes, some of my coworkers are current students at my old high school. Yet when I see my friends move to big cities and work impressive jobs, I don’t envy them. I’m grateful that I allowed myself to take this year off, to indulge in a season of rest instead of charging straight into more academia. This year I’m drinking lots of coffee—not because I need energy to finish a Brit Lit paper, but because it’s tasty and I want to know what I’m serving to customers. I wear a button at work that says “Treat Yo Self.” It’s a useful tool for getting customers to buy cookies and warm breakfast sandwiches, and it articulates my mindset. This year is about treating myself; shopping for nicer clothes, spending time with my boyfriend, and investing in my home church. It’s not a lifestyle I’d want to sustain for too long, but the transience of this season allows me to enjoy the respite from pressure. Working unpredictable hours for minimum wage reaffirms my decision to pursue law school. For seventeen years, from kindergarten through senior year of college, I’ve never really taken a break from school. Now, as much as I enjoy reading for pleasure and catching up on Netflix shows, I’m realizing how much I actually miss the classroom. I miss engaging in spirited debates, researching and writing academic papers, and learning from inspiring professors. My mind craves more stimulation, the kind I’ll encounter every day as a student and in my legal career. 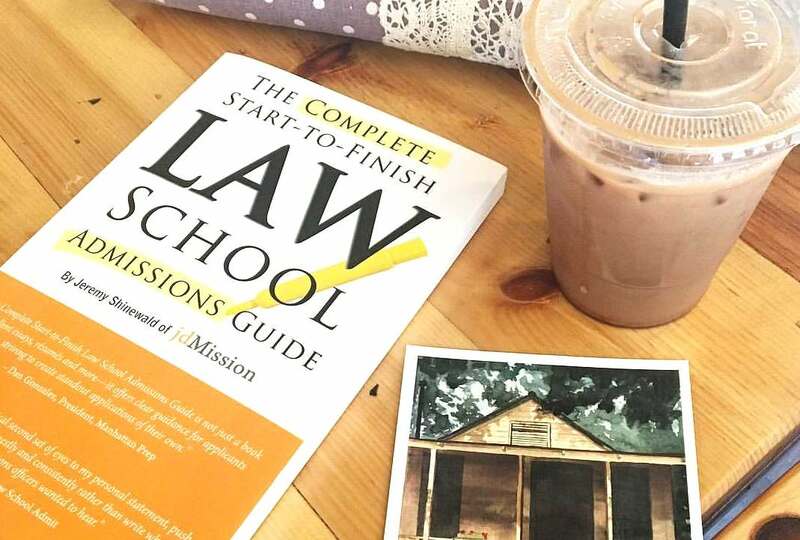 Law school will be challenging, but taking an academic break is preparing me to dive into the workload enthusiastically. The other day, while enjoying pizza with a friend, I expressed concern that I wasn’t making the most of my time off. He replied with an insightful question: “What do you want to be the best at? What goal do you want to accomplish?” I pondered this for a while. Maybe I could try to improve my running times, learn challenging piano pieces, or perfect my buttermilk cupcake recipe. Right now I have no tests, no homework, no work projects to take home. Every day I decide for myself what I want to prioritize, refining my identity and setting a paradigm for the future. Some of my peers are doing other types of gap years: serving in the Peace Corps, teaching English in China, or backpacking around Europe. The idea of “finding yourself” gets thrown around a lot, and oftentimes it’s associated with the whole “Eat Pray Love” grand travel experience. But this year, I’ve learned that discovering one’s identity and gaining inner peace can occur anywhere—even in your own hometown. Whenever I serve coffee to a former classmate or catch up with a friend who’s working a salaried job, I remind myself how important this season is for me. This year I’m not the overinvolved college student, the ambitious law student, or the hardworking Nonprofit Attorney. I have the freedom to just be me.